Hello readers, today I am more than pleased to write this post which so important to me. I suffered from very bad acne as a teenager and that "hormonal" "tennager" acne has transformed other the years into what doctors call "adult acne". I tend to think that they call it that way to make us believe that there is nothing we can do about it... If you read my blog you should know by now that I have tested so many techniques and products other the years. For that reason my "adult" acne was not so bad it was under control; but I was still having some acne at 32 years old !!!!! My skin history started way before I had this blog. Actually it started at 12 years old when I started to get acne for the very first time. It starts at 12 and finishes at 32, a few months ago when I finally found out how to get rid of my acne for good in only 3 days. If you want to know more have a seat and watch the video below. If this tip/routine also works for you please leave your testimony in the comment section for everyone to know. On my next post I will show you exactely my current skincare routine and how I organise myself. 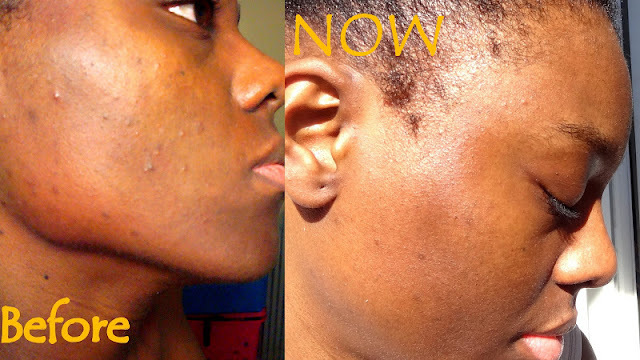 ***HERE: Why do we have acne and how to sove it? ***HERE: Glycolic acid for a beautiful skin?